Debbie Graham has been a member of First O’Fallon since August 2008, when her family relocated to the St. Louis area from San Diego, California. 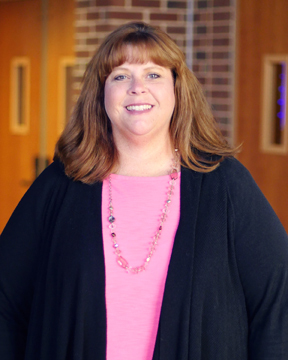 She has been the preschool associate since September 2010 and serves families with babies through Kindergarten through weekly Life Groups, Awana, and special events. Debbie’s favorite part of her job is getting to know the families she serves. She is a graduate of Point Loma Nazarene University with a degree in Sociology.